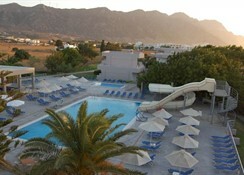 Asteras Resort in Kardamena spread over 2 floors, distributed across 9 buildings and has 108 rooms. 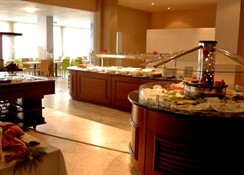 The hotel is located 300 m from the sandy beach. The closest city to the hotel is Kardamena (3 km). Other cities: Kos (32 km). 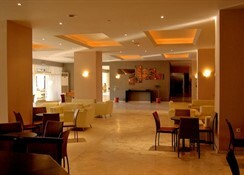 To make your stay more comfortable air conditioning, a reception, a lobby and a mini market are available. The staff in this 2 storey hotel speaks German and English. An entertainment program suited for children and a playground are available for young guests. For guests who wish to be mobile, motorbike rental, car rental and bicycle rental can be arranged. A fresh water swimming pool, seasonally open with a separate children's pool is available. Guests can unwind with a drink at the poolside bar. Sunshades and sunbeds are available for an additional fee at the beach and free of charge at the pool. Distance from the hotel to: shops (3 km), airport (8 km), Asklepeion (35 km), disco (3 km), markets (3 km) and tourist information (3 km). The hotel is within easy reach of bus stops. For your entertainment the hotel features a TV lounge and theatre. Vehicles may be parked in the parking lot. Amenities: For convenience the hotel offers maid service, room service, medical care, currency exchange, laundry service, ironing service and wake-up service. Internet access is provided at internet terminals. 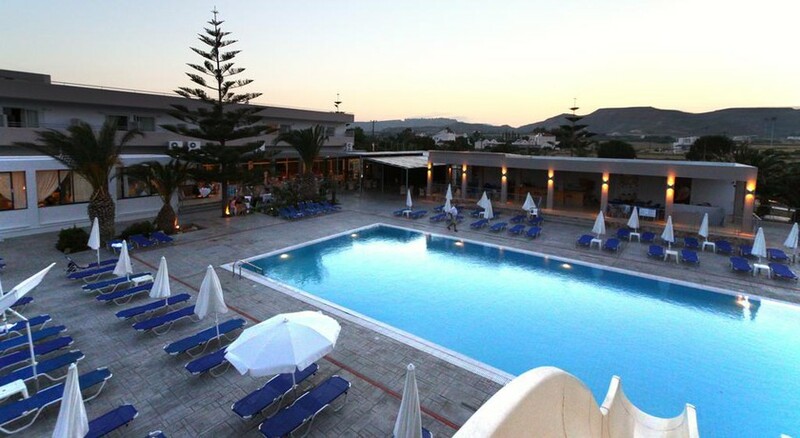 This family friendly hotel offers a children's pool, babysitting service, child animation and a child club to ensure a comfortable stay for parents as well as young guests. Reception hours: 24h Service. 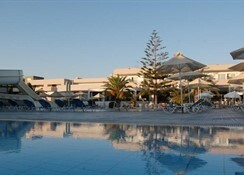 Asteras resort was a suberb all inclusive holiday, a first for us, as we dont normally holiday all inclusive. We found the resort absolutely lovely. from a clean room with great view and being so close to the town and beaches made everything perfect. the annimation team were superb, loved the exuberance. the food was plentiful and lots of choices, our daughter is a vegetarian and she was very happy. Bar staff lovely, drinks great, house sprits, but fine, beer and wine a plenty, all in all great value. Disappointed the first two nights as we were directed to an other with same number of stars but definitely not the same standard. 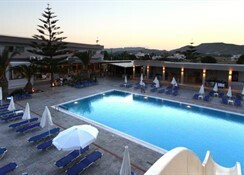 This was a last minute holiday and we had very little choice as it was during school holidays. The vote was a convenient 20 minute taxi ride away from the airport. The hotel itself is nothing flash but it has everything you'd need. Meals are tasty but same same each day really. Pool area was nice and quiet. A couple of water slides to keep the kids (young and old) amused. Rooms were basic but ok.... on the surface they were clean but check under the beds and there's a chance you'll find more than a few days worth of dust! The grounds didn't seem like they had been attended to through the closed season but there was a guy going around and doing a bit here and a bit there. Location wise.... not great.... it's only a short walk to the beach ( visit the Malibu bar it's great!) The resort town is about a 15 minute walk away which has plenty of bars and restaurants. The best thing about this hotel though is the staff.. really friendly and personable. Genuinely lovely.